Update: Microsoft Windows 10 build 16188 is now available for Fast Ring Insider members. The company also released mobile build 10.0.15210.0. PDF Form filling: Every now and then we encounter forms to be filled which are in PDF format. Now you can fill in PDF-based forms within Microsoft Edge, save them and print them! Better viewing and navigation: Sometimes PDF documents, such as documents that are copies of documents scanned in, are not in the proper orientation and need to be rotated to view them properly. Now you can rotate the PDF documents for better readability. Look for the rotating button in the toolbar. Also, it is important to be able to adjust the reading layout of the files to best suit user’s needs based on the screen size, type etc. Using the “Layout” flyout menu on the toolbar, now you can switch from one page to two-page layouts and change to page-wise scrolling for better navigation experience for longer documents. With Microsoft Windows 10 build 16188 Windows Defender Application Guard for Microsoft Edge is now available in Windows Insider Previews for Enterprise users in the Fast Ring. Microsoft Edge running in Application Guard provides enterprises the maximum level of protection from malware and zero-day attacks against Windows. Insider team made it easy to test drive Microsoft Edge with Application Guard. First, turn on Windows Defender Application Guard using the “Turn Windows features on or off” dialog. Select the checkbox as shown below for Windows Defender Application Guard. Cortana is a core component of Windows and users look to the Settings app to find Cortana’s settings. With Microsoft Windows 10 build 16188, insider team made the change to migrate all of Cortana’s settings into Settings. You can access them by clicking the settings gear in Cortana, going to Settings > Cortana, or just searching for the setting you’re interested in. You can now easily follow Narrator around the screen with Magnifier by selecting “Follow the Narrator cursor”. Embedded a list of all the available Magnifier shortcuts into the Settings page for quick reference. Microsoft Windows 10 build 16188 added an option to open the Magnifier settings from anywhere in the OS by pressing Ctrl + Win + M.
Added an option to select your preferred zoom increment when using Magnifier. Fixed an issue where explorer.exe would crash and restart if you tapped any of the apps listed in the Windows Ink Workspace’s Recent Apps section. Fixed an issue resulting in decreased Action Center reliability in recent flights. Fixed an issue with the Chinese Pinyin IME where typing a sequence of characters beginning with ‘hu’ into certain apps would result in an unexpected delay before the candidate window updated to reflect the current composition. Some Insiders have reported seeing this error â€œSome updates were canceled. Weâ€™ll keep trying in case new updates become availableâ€ in Windows Update. Update 2: Microsoft Windows 10 build 16188 ISO now available for download from here. Original Story: Microsoft is now testing Windows 10 build 16188 for PC. 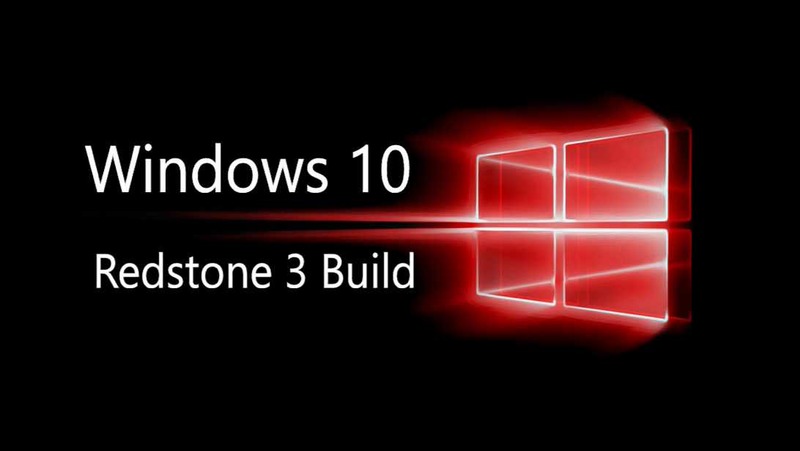 The new Microsoft Windows 10 Redstone 3 build 10.0.16188.1000 (rs_prerelease.170430-1928) was compiled on April 30, 2017. Windows Insider team is also testing Windows 10 Mobile build 15210 (10.0.15210.0 feature2). Recently, Microsoft also released first Windows 10 Redstone 3 build 16184 and Mobile build 10.0.15208.0 feature 2 for Fast Ring Insiders.